What Do You Want to Get Out of Your Garden? Most gardeners are looking to cultivate a heightened aesthetic sense in their yard. Flowers are colorful, smell good and attract a multitude of beneficial insects to the area. Do not neglect this important garden feature. The more practical-minded may well want to start with some vegetables to ease the monthly food bill. They are easily grown in pots or other containers and in among other plants in an “edible landscape.” Herbs in small pots in the kitchen window are an added bonus. This is for more than vanity’s sake – although, that is important! Seeing what you have done from year to year allows you to make more informed future decisions. For more information on these and other gardening ideas for Atlanta, please visit us online at OutdoorExpressions.net or phone us directly at 888-210-1116. Outdoor Expressions – Making your outdoor space a place to remember. 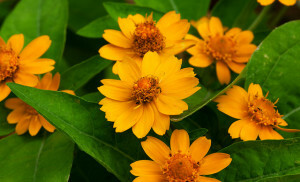 Food – Your choice of “nectar” plants will vary depending on where you live. Still, for most climates, the Blazing Star, Black-Eyed Susan, Purple Coneflower and Goldenrod will add color and provide plenty of good eats. Water – Add a butterfly puddle. It is simply a pot or birdbath filled with sand and water. 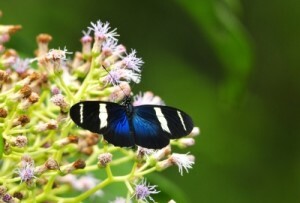 Butterflies need it and you will enjoy their antics as they extract water and nutrients from the sand. Shelter – A wind break of bushes is essential for keeping butterflies in and near you back yard. Also incorporate some seating into the area as they won’t pay any attention to you. For more ideas on creating your perfect outdoor space, please visit us online at OutdoorExpressions.net or phone us directly at 888-210-1116. Outdoor Expressions – Making your outdoor space a place to remember. Use the Proper Container – Seeds are not particularly fussy about what container you use to germinate them – just avoid letting a cold snap catch them before they are established. Small, 3-inch pots are ideal but an egg carton with some holes poked in the bottom will do in a pinch. Get the Right Soil – Start with a commercially available mix specifically designed for “seed starting.” Drench it with water and drain thoroughly. Break up any clumps and you are ready to go. Don’t Forget the Light – Use grow lights if necessary or just a bright spot in the greenhouse but 12-16 hours of good sunlight is necessary. For more information on starting seeds for you spring garden or other winter gardening tips, please visit us online at OutdoorExpressions.net or phone us directly at 888-210-1116. Outdoor Expressions – Making your outdoor space a place to remember. Fertilize – While counter-intuitive to some because the plants look dormant, February is an excellent time to give your landscape and extra boost to build its internal resources so it can really thrive in the coming months. 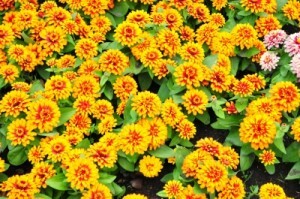 Pinch Annuals and Cut Back Perennials – An essential chore if you want to more flowers in your garden than last year. Both processes remove dead parts of the plants and alloew them to concentrate on their healthier parts. Also a good time to prune vines. Plant Trees – Larger shrubs and trees will also get a head start on the coming season by being planted now – as long as the ground isn’t frozen and no further freezes are anticipated. Obviously, err on the side of caution when making this decision. 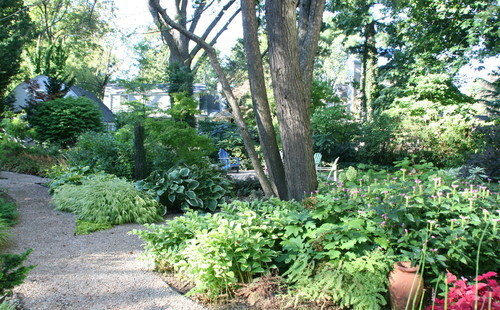 For more information on landscape maintenance in February and throughout the rest of the year, please visit us online at OutdoorExpressions.net or phone us directly at 888-210-1116. Outdoor Expressions – Making your outdoor space a place to remember. The eye must be distracted before the rest of the body can relax. A single tree, a stone or even a piece of artwork can serve as that distraction. Place it at the end of the path so there is a reason to make the entire relaxing walk. The “white noise” of running water can provide another distraction from the outside world. In addition, its presence attracts a host of interesting creatures that would otherwise pass your garden by. A garden office should not be a maintenance burden or it completely defeats the purpose. Drought – resistant plants and stones are the best choices. 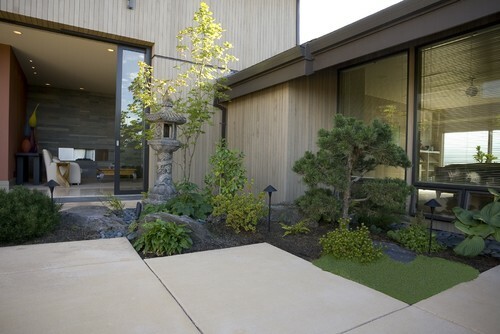 For more information on Zen style gardens or other topics that our Atlanta landscape designers can speak to, please visit us online at OutdoorExpressions.net or call directly to 888-210-1116. Outdoor Expressions – Making your outdoor space a place to remember. Creating an intimate space behind a gate or trellis is an excellent way to create some mystery at the end of path in your garden. It also allows for simply relaxing or talking privately with a loved one. Not as difficult to create as you might imagine, this fairy tale lends itself to a low key “Tea Party.” Add tables and chairs is a relatively rustic setting and you will soon be wondering when the Mad Hatter and the White Rabbit will show up. If you have the space and the wherewithal, a small cottage placed in a secluded spot makes an excellent spot for reading, studying or just reflecting. Add a small water feature to add some “white noise” and the effect will be complete. 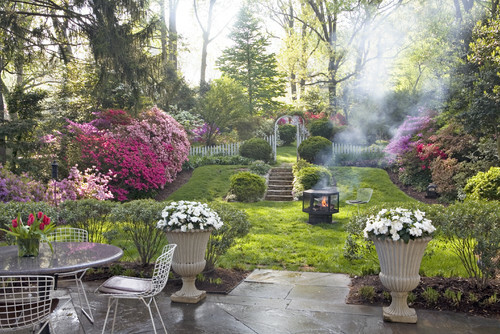 For more information on these gardening ideas for your Atlanta home, please visit us online at OutdoorExpressions.net or call directly to 888-210-1116. Outdoor Expressions – Making your outdoor space a place to remember.